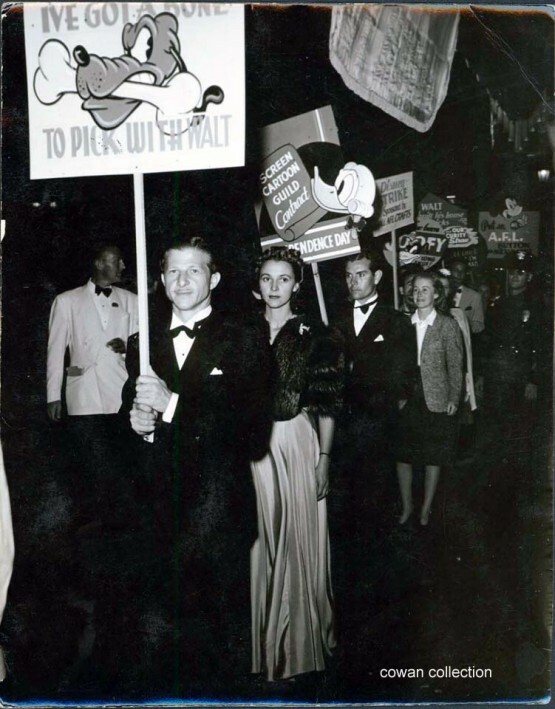 As posted previously, Art Babbitt, the leader of the 1941 Disney Strike (though not the organizer – but more on that later), led the picket at the premiere of Walt Disney’s 5th feature film, The Reluctant Dragon. Have you seen this film? If you’re not a Disney überfan, you probably haven’t. 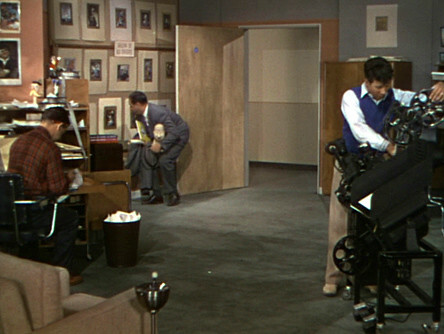 Besides the charming cartoon bits, it’s a pseudo-documentary – – with some footage of real artists in the real studio – – and of how grand life is in the Mouse House in 1941. It’s naive to think that working at Disney was as perfect as the film portrays. Sometimes there were endless meetings, or you had to work late or on weekends, or people got fired or the wrong people got promoted. Maybe you didn’t get along with a coworker, and maybe you had a difference of opinion with the boss himself! It was a job. To paraphrase animator Ward Kimball, they didn’t think they were making history, just making a living. 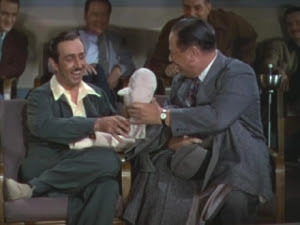 There’s a flavor of “aw shucks” innocence about it that is also prevalent in Mickey Mouse, Disneyland, and Walt’s on-screen persona. I think that’s how Walt saw the world, and how he wished the world could be. 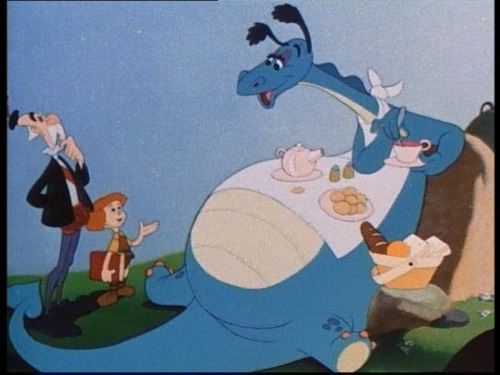 The film went into production many months before the Disney strike. Then, on May 29th, the artists struck, and the trade papers like Variety ate it up. 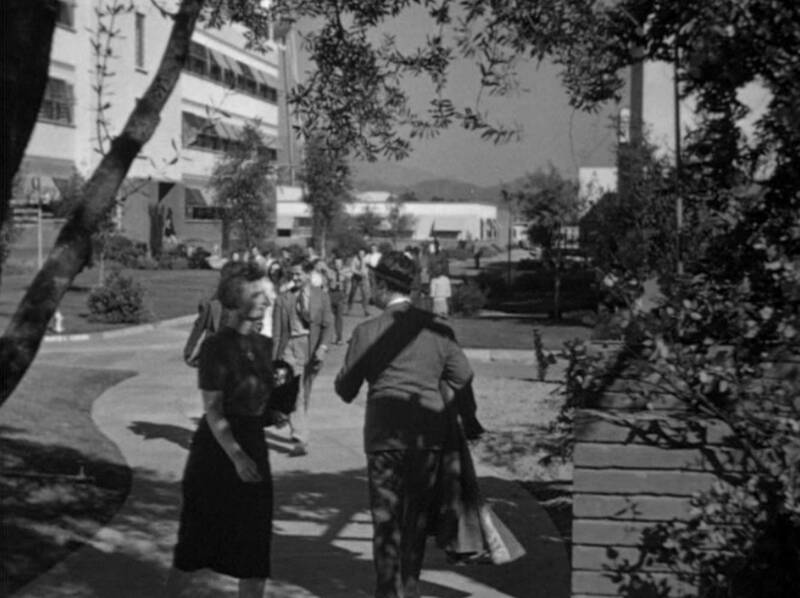 Walt must have been relieved that his upcoming film was about the pleasure of working at the Disney Studio: the spacious, carpeted rooms! The pretty ink-and-paint girls! 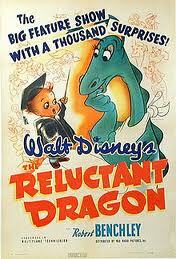 What a fortuitous circumstance for Walt – it’s a PR campaign right when he needed it most! Meanwhile, the strikers knew well what a saccharine portrayal the film was. They (mostly) didn’t have spacious, carpeted rooms. And it was forbidden for the men to enter the ink-and-paint building (lest you “dip your pen in company ink”). Besides the hypocrisy, They must have felt their cause mocked and their grievances belittled. 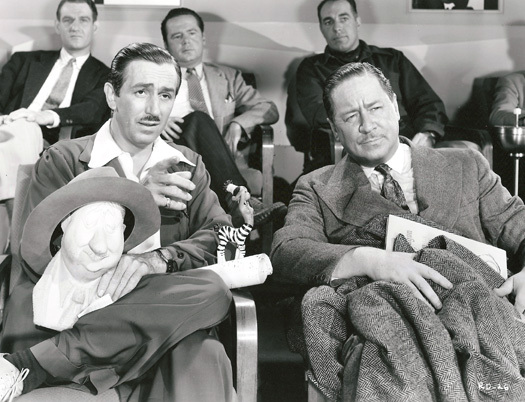 So if Walt was going to be a wiseguy, they’d hit ‘im back where it hurts most – his public image – and picket the premiere of this film in their finest black tie apparel. So did Art Babbitt ever see the movie? Yes. Yes, he did. 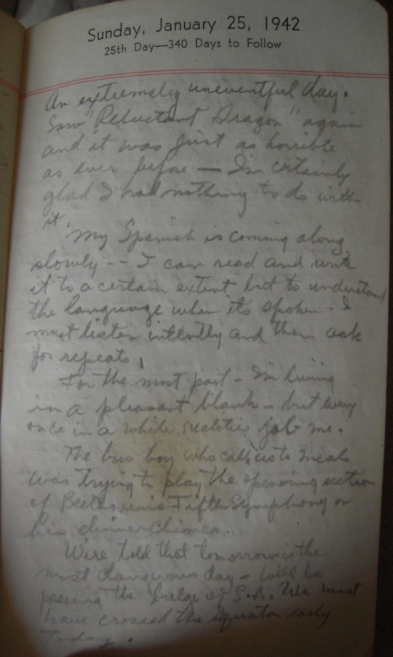 More than once, on a ship en route to Brazil in 1942. In the same diary entry, he also offers a glimpse into his growing post-strike anxiety. 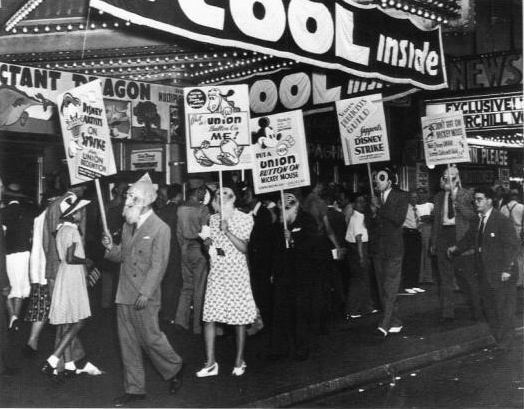 This entry was posted in 1941: The Disney Strike, Disney and tagged 1941: The Disney Strike, Animation, Art Babbitt, Disney Studios, Reluctant Dragon, South America. Bookmark the permalink.